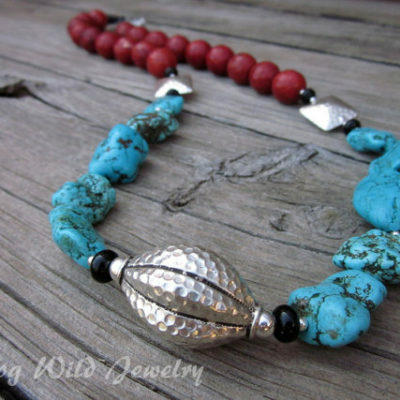 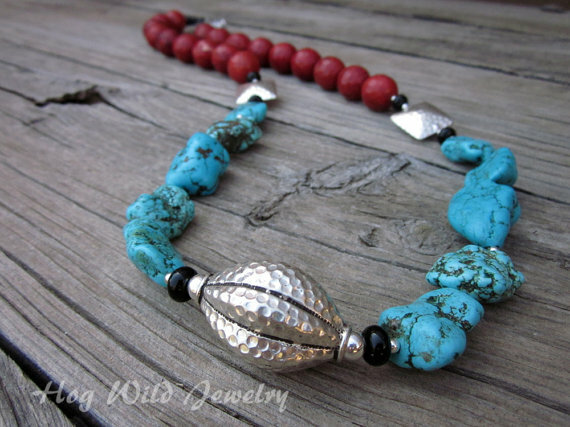 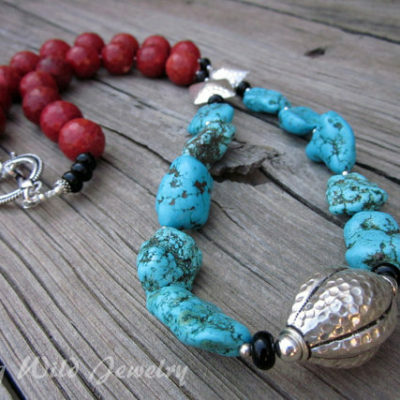 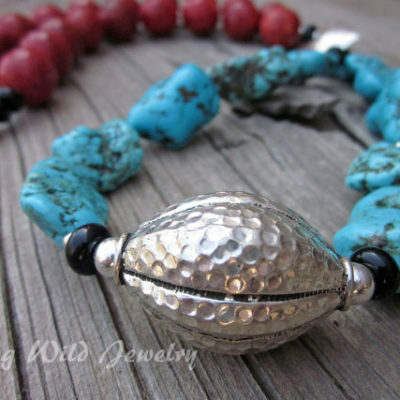 Coral Turquoise Bali Silver Focal Bead Longer Length Necklace designed by Claudia. 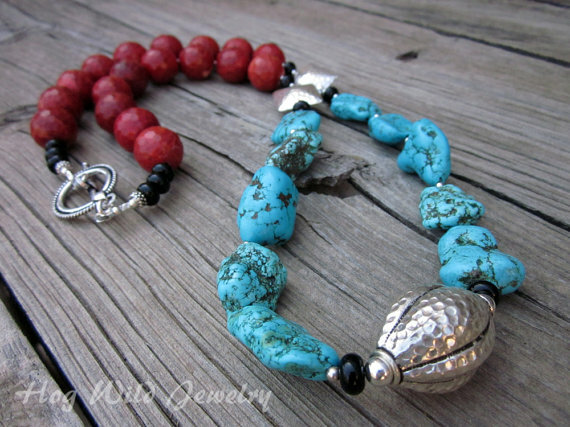 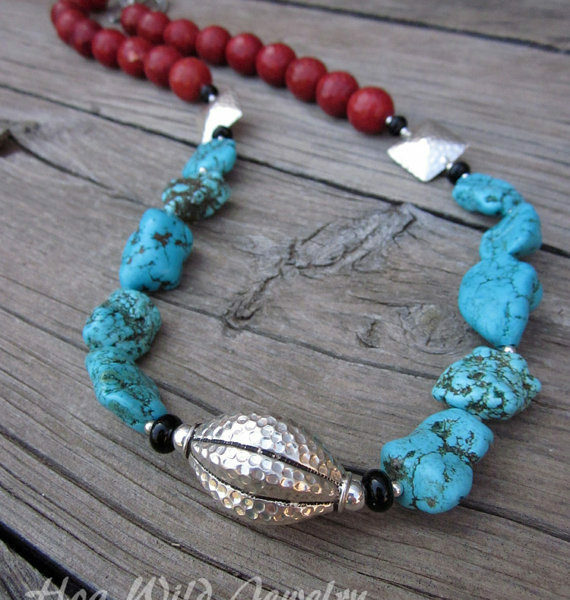 This is simply a stunning necklace using the colors of the southwest with coral red, turquoise, black and silver. 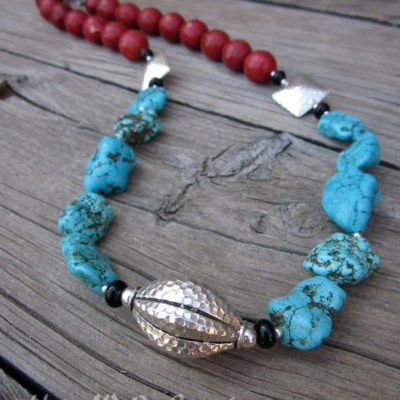 Large coral beads (18mm) and organically shaped Turquoise nuggets (approx 25mm) are paired with a huge focal bead from Bali Silver (33mm) . 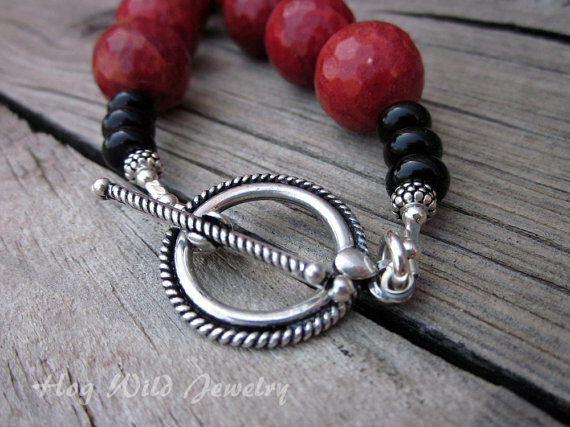 Large Bali silver and Black Onyx spacer beads. 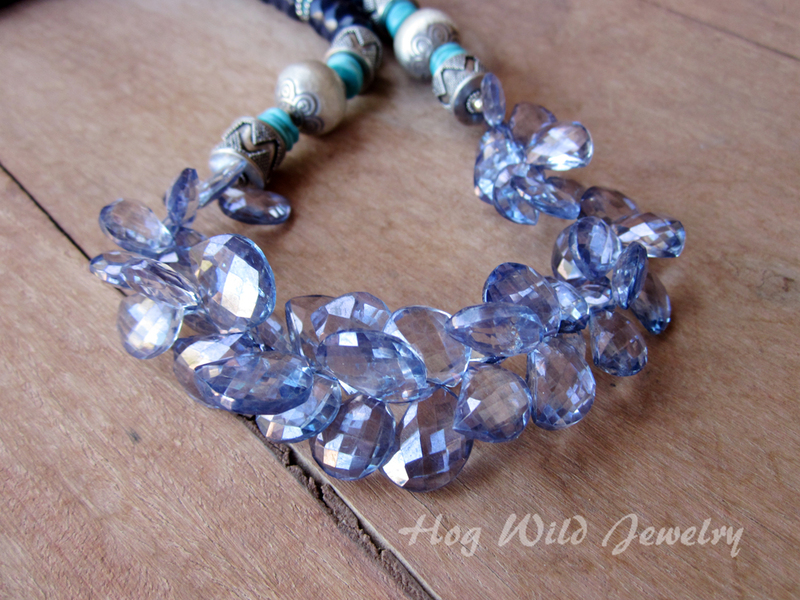 This is a dramatic length at 34″. 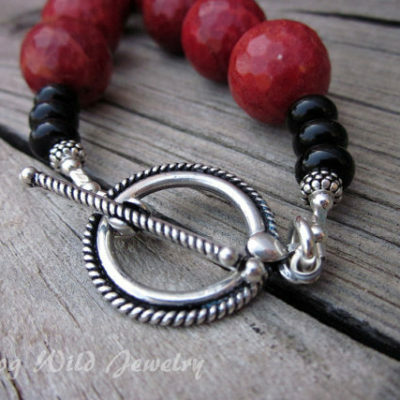 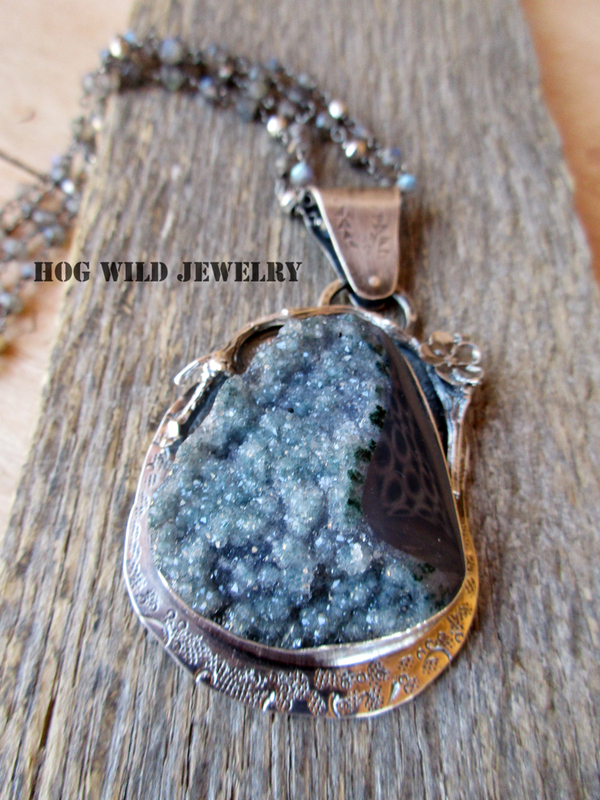 It can be worn alone as the center focal of your outfit or paired with other pieces. 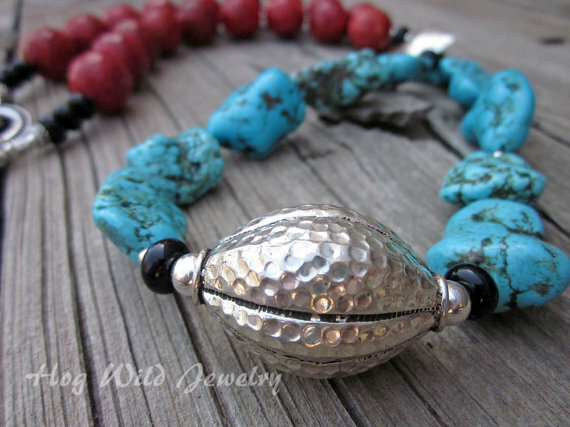 Large Antiqued Sterling Silver toggle closure.